It doesn't take much work to convince people that massages are beneficial. They feel good, for one thing. There is also evidence that they do good things for you. Massages cut down on stress and relieve pain. They may even help with numerous other problems, such as anxiety, insomnia, and fibromyalgia. What isn't clear is whether full body massage chairs can stand up to human massages. Keep reading and we'll take you through some of the big points of comparison. At first blush, human massage seems like the obvious winner here. After all, the average cost for a massage runs around $60. 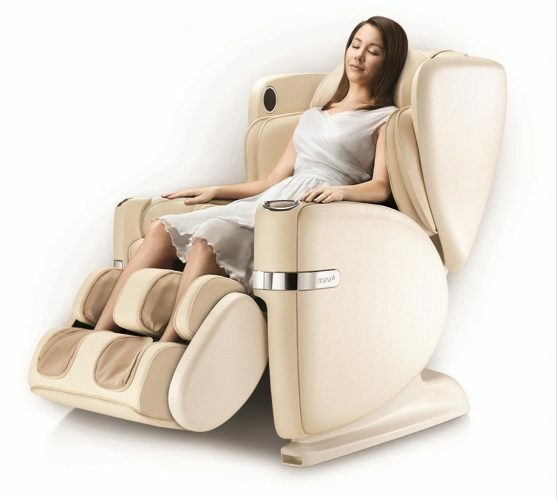 A good full body massage chair can run you $6000. $60 beats $6000 every time, right? The real math isn't that simple. A massage chair is a one-time investment meant to last for years. Let's guesstimate the average lifespan of a massage chair at 5 years. $6000 divided by 5 years is $1200 per year. Let's say you get one human massage a month. That works out to $720 a year. Still a better price, but not monumentally better. There's one last bit of math to consider. You can get more than one massage per month from the chair. Let's say you value a chair massage at 50% of a human massage or $30. Use the chair three times a month and you get more out of your money. Massage therapists work on schedules. That means you must make appointments. Scheduling appointments around your own schedule is often tricky. If your massage therapist is good, rescheduling might prove impossible. There are no appointments with full body massage chairs. It's available 24/7/365, as long as the power stays on. At worst, you might end up waiting for a family member to finish. That means you can hop in the chair at 3 o'clock in the morning if your back starts bothering you. No waiting. High-end massage chairs offer a wide range of options, but they don't analyze where you hold tension. A massage therapist receives a lot of training in anatomy and physiology, not just massage techniques. They possess the skills and training to pinpoint trouble spots. They can also talk with you about what hurts and what helps. That expertise is part of what you pay for when you visit a massage therapist. On the expertise front, human massage wins. Plus, you get the benefits of touch with a human massage. There's no obvious winner in the debate. The salient question is whether full body massage chairs or human massages works better for your situation. Human massage offers the benefits of human touch and expertise. This is a better option for those with specific medical reasons for seeing a massage therapist. It's also the better option for those who put a premium on expertise. A massage chair is convenient because it's always there. It's also arguably more cost-effective over time. It's a solid option for people with busy lives.